Photo: Craig Russell / Shutterstock.com. England’s tram networks have reported their highest passenger numbers and vehicle miles since records began. All eight systems across England – Nottingham Express Transit (NET), London Tramlink, Midland Metro, Sheffield Supertram, Manchester Metrolink, Docklands Light Railway (DLR), Tyne and Wear Metro and Blackpool tramway – saw some increase in passenger journeys except the Tyne and Wear Metro, which has been affected by closures for infrastructure works. Figures released by the Department for Transport (DfT) show that 267.7 million passenger journeys were recorded in 2016/17 – an increase of 6.2 per cent on the previous year and, according to the DfT, the highest figure since comparable records began in 1983. Since 2006/07, passenger journeys have increased by 49.9 per cent. The majority of journeys undertaken in 2016/17 (57 per cent) were made on London’s DLR and Tramlink systems. 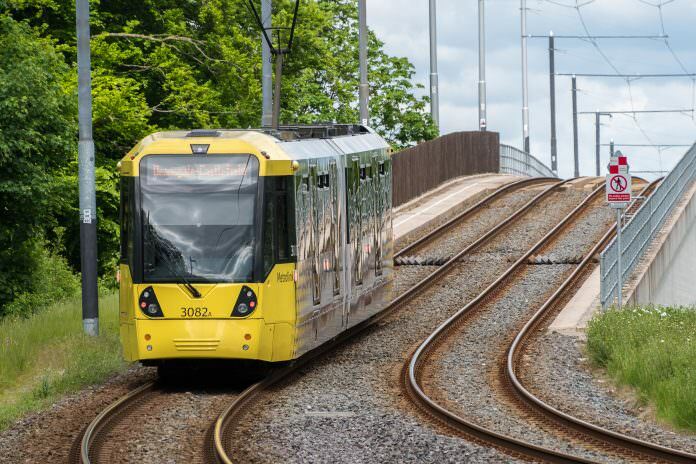 The report suggested there had been “no significant impact” on Tramlink’s passenger figures since the Sandilands tram crash in November last year that resulted in the deaths of seven people. The most significant passenger growth over the last year has been in Nottingham and Birmingham, which reported increases of 35 per cent and 29 per cent respectively. This has been attributed to the first full year of operation on NET’s phase 2 extension and the opening of the Midland Metro extension to Birmingham New Street station. Light rail revenue increased by 5.5 per cent to £362.4 million in 2016/17, while average revenue per head fell by a penny to £1.35. The DLR alone accounted for around 47 per cent of the total revenue.